Did You Enjoy the Mercaz Job Fair? 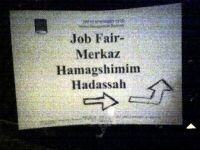 Last week's job fair at Mercaz Hamagshimim seemed to be a great success. The atmosphere was upbeat, free candy and pens were being given out left and right, but will anyone's job search end successfully because of it? Dozens of job seekers had a hard time walking among the company tables due to the number of visitors. Waiting in line for a chance to sit down and discuss opportunities was often to be expected. One complaint I heard was that none of the hitech companies present were looking for web developers, which I found strange since I regularly see job openings of the sort. On the other hand, people definitely did get to be interviewed and it was nice to see so many Israeli placement agencies trying to appeal to the (Anglo) immigrant community. I didn't expect anyone to walk out with a work contract and that was even something I warned you about with the Job Fair Do's and Don'ts. Job fairs are a great place to network and meet the people who will lead to your next job, hopefully even your dream job. The best anyone could have reasonably hoped for was an invitation to a longer interview in regards to a specific job opening. Did that happen to you or anyone else you know? The JobMob table was busy the whole evening even though we were tucked in the back corner of the main room. There were many signups, with new members of the JobMob Community hailing from India, Australia, France, Chile, Brazil and the FSU among others. If you are one of them, welcome! It's terrific to have you here. This is great news for you and and us because the larger the JobMob Community, the more people can help and get helped. So was the fair useful for you? Did you learn anything from the speakers? Would you go back again? 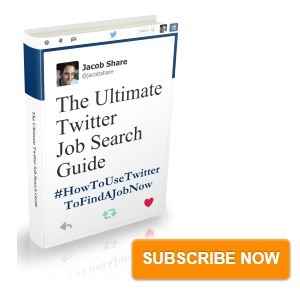 Subscribe to JobMob via RSS or email for more on the ground job fair reports. I had mixed reactions from the job fair. On the one hand, it certainly seemed as if great effort was put out by Mercaz Magshimim in setting up networking opportunities for job-seeking new Olim, who for obvious reasons are less connected here than their Israeli counterparts. Job agencies are great, too, and there was certainly no shortage of those. On the other hand, I expected more actual companies offering jobs to be present- not, of course, to sign contracts there and then, but at the very least to share the positions they are looking for and to offer further contact. I imagine, though, that it is difficult to attract attendance of such companies, so I can’t really complain. Once I realized what the evening was about, I adjusted my expectations and came out satisfied from the experience and appreciative of the effort. Alot depends on how the Mercaz markets the fair. The turnout was good this year. If the Mercaz has a higher estimate of the number of job seekers coming, it would be easier to attract companies. That said, I am a little surprised that they weren’t able to entice an Intel or another company from Har Hotzvim to come over. In terms of the job fair, I found it mildly helpful. I was able to give my CV to a headhunter, connect with JobMob, and talk with some people who had changed fields recently. It was nice to connect with them because it made me realize that I was not the only one upset with the prospect of a future career in education. 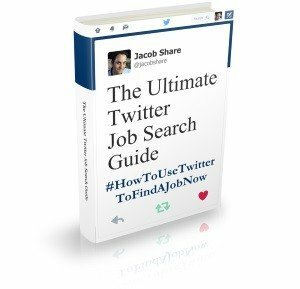 I also received an entire list of different websites to search for jobs and headhunters. I suppose all of these things could have been done on my own initiative, but since everything was centralized, that was kind of nice. I was annoyed, though, by the preponderance of headhunters, high-tech places, IDT, aliyah-klitah info and retraining info, and Jewish organizations that work with overseas youth. Perhaps the job fair was intended more toward those immigrants newly arrived in the country. I’m commenting about a post that is very out of date because I need to earn another 19,795 points to reach the next Captain Up level. Next PostDo Freelancers Need Unions?